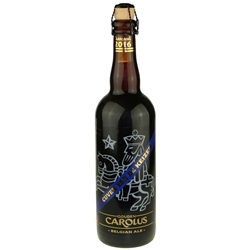 Gouden Carolus Cuvee van de Keizer Blauw (ABV 11.0%) from the Het Anker Brewery is brewed every year to celebrate the birth of Charles V (24 February 1500 - 21 September 1558), who ruled the Spanish Empire, the Holy Roman Empire, and the Habsburg Netherlands during the 16th century. It's an award winning Belgian Strong Dark Ale that pours a deep ruby brown with a velvety beige head. 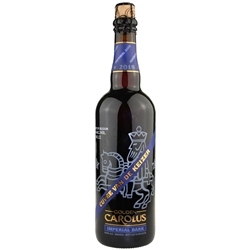 Sweet, aromatic notes of wood, yeast, plums, caramel and spice in the nose are borne out in the taste: dark caramel, light molasses, dates, plum, tobacco and clove all grace the tongue and contribute to a rich and satisfying flavor balanced between sweet, tart and bitter notes. Age this beer over several years at a cellar temperature of 12° C (54°F), and it will reward you with a complexity and intensity usually reserved for the finest of wines. 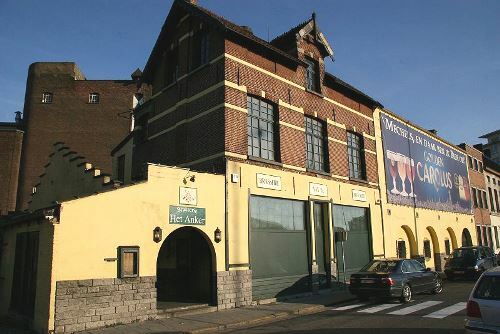 Located in the town of Mechelen in the Flanders region of Belgium, the Het Anker Brewery was founded in 1872 when Louis Van Breedam purchased the site of what had once been a brewery and hospice run by a community of Beguine nuns. He modernized the facility – it became one of the first steam powered breweries of the time – and his heirs would later greatly expand its influence. By the 1980s, like many family owned breweries of the time, Het Anker found it difficult to compete with large commercial breweries, and entered into partnership deals which never succeeded as intended. 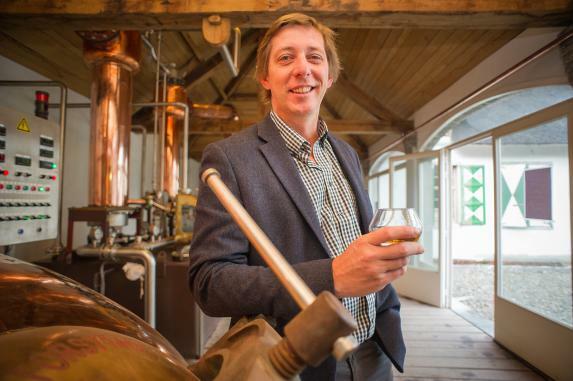 In the late 1990s, Het Anker, helmed by a fifth generation of the Van Breedam family, became independent again, and both focused and diversified its business. 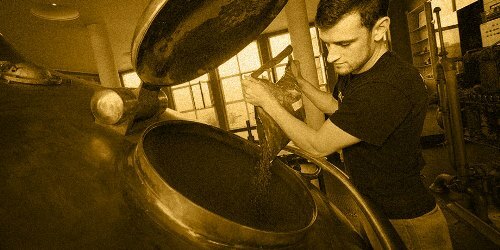 Today, the flourishing brewery includes both a restaurant and a hotel while producing a dozen or more ales exported around the world. Apr 21, 2019 | By Scott J.
Apr 16, 2017 | By TOM H.
This is, without a doubt, one of the best beers I have ever had. The nose is malty with fruity overtones. It pours dark with a nice heavy head. The mouth feel is very smooth. A very complex beer with levels of flavor that I haven't had in many beers. As it warms up the taste changes in an interesting manner.